Why Choose ABC Nanny Source as your Virginia Nanny Agency? ABC Nanny Source is one of the most trusted of the in-home childcare agencies in the industry! We are proud that we can say every Nanny we refer to our families is a step above the rest! We are a locally owned agency that really cares, and devotes the necessary attention and expertise to each and every family we assist! 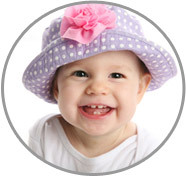 We offer peace of mind that our agency far surpasses the industry standards when it comes to screening our Nannies. Our 10 Step Screening Process will ensure that you are completely satisfied with every candidate throughout the hiring process! We do all the work for you! Your Placement Counselor will only send you nannies that are qualified for your position and that can provide the type of care that you have described while also confirming that they have a strong desire to work for your family. Your only job is to choose the best Nanny for you and your children! Each family is provided with only the most qualified and specific nanny candidates until they find the perfect match for them, which is usually very quick! Most families will be ready and prepared to make a decision after reviewing three to five wonderful nannies. Equally, you may rest assured that each of our families never have to worry about being without care! In the event you find that your childcare needs have changed or you are in need of a nanny again, ABC Nanny Source will be there for you to assist you in the quickest time possible. No matter the situation, our clients have someone who will be dedicated to their particular circumstances and personal needs, as well as the security of a Nanny Agency that can provide ongoing assistance and support long after the initial hiring process. Our Placement Counselors will work diligently to learn about your family in order to provide you with the most supportive and dedicated care possible. Your Nanny will plan her day according to the daily needs and flexibility required for the position. ABC Nanny Source is devoted to outstanding care and we pride ourselves on our professionalism and above all, we value dedication. We will provide you with the personal attention you deserve!